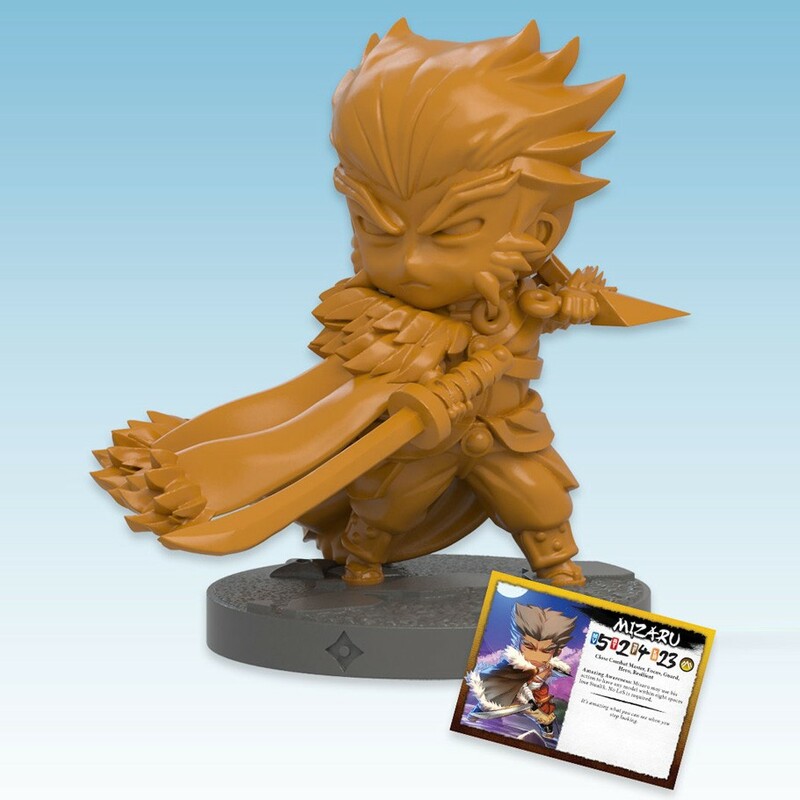 Mizaru is a Clan Yamazaru-themed Hero for Ninja All-Stars. Heroes bring potent new abilities to a player's team that are entirely unique to them. Each Hero is themed to a single clan and make must-have additions for players who pick up the clan box. At age 14, Mizaru lost his sight due to a witch's curse. His story might have ended there except that he refused to become bitter. He, instead, focused his anger into overcoming the setbacks his injury initially posed. Honing his senses until he could navigate trails by the sway and sound of his scabbard, identify others by scent, and track any movement by the slightest noise, Mizaru eventually became captain of the Yamazaru's famed scouts.